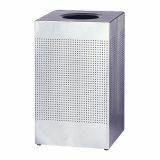 Rubbermaid Open Top 16 Gallon Trash Can - Receptacle with stainless steel finish offers perforated heavy-gauge, fire-safe square steel. Leakproof rigid plastic liner and folding retainer bands neatly hold poly bags in place. Hinged top allows easy emptying. Leg levelers provide stability on uneven surfaces. 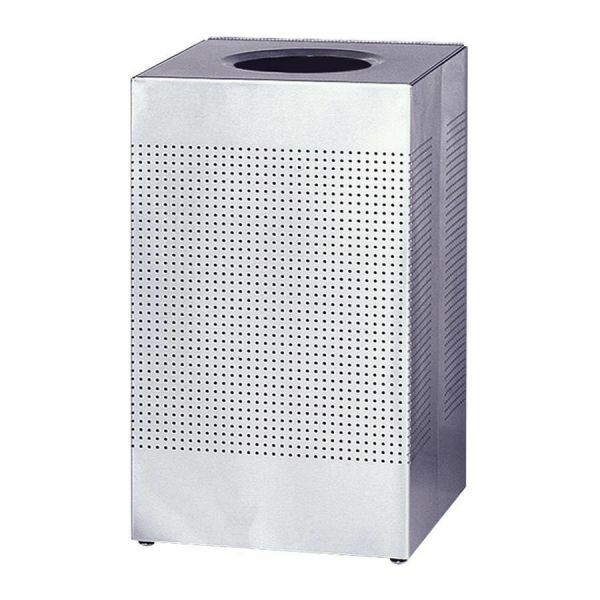 ADA-compliant receptacle is made of 30 percent recycled material and is 100 percent recyclable.